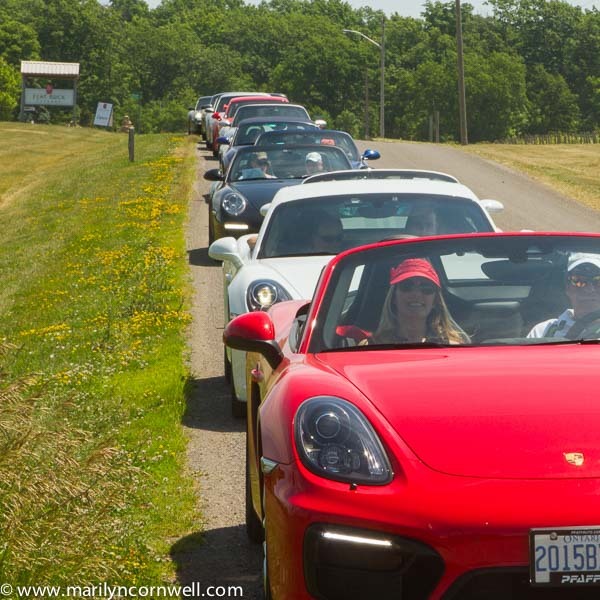 t would be great to have two lines of Porsches like a cherry orchard and have an infinity perspective. What would be at the meeting point? 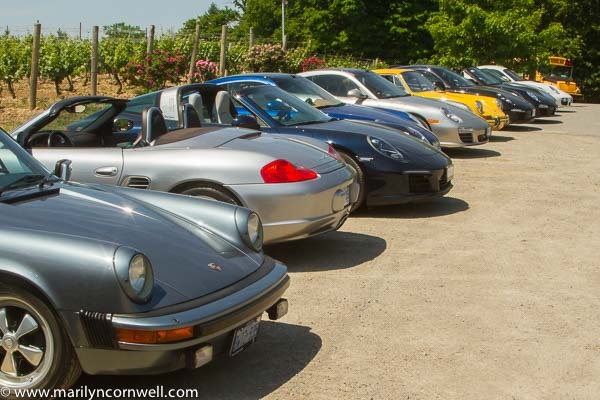 A disappearing line of Porsches also works wonderfully, and they were at Flat Rock Cellars on Saturday. 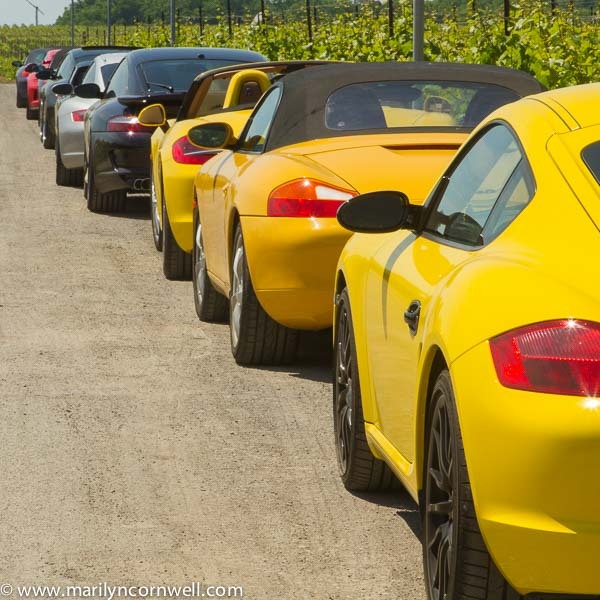 This isn't your standard Getty image of lanes of queuing cars. I guess that's why it is called a 'Fun Run'.